Homewood Divorce Lawyer | Johnson & Johnson, Ltd. The decision to divorce can be a difficult one. Couples face many issues that must be resolved in order to dissolve the marriage. When a couple decides to get divorced they may not know where to turn or what to expect. If you are divorcing, then the first step is to consult with an experienced Homewood divorce lawyer. Your lawyer will answer all of your questions and will guide you through the process every step of the way. Consult with the trusted divorce attorneys at Johnson & Johnson, Ltd. to provide you with the legal help you need during this complicated time. When couples are in agreement as to the choice for a divorce they may opt for a no-fault divorce. A no-fault divorce is one where neither party places blame on the other for the dissolution of marriage. The grounds for this type of divorce are called irreconcilable differences. There are other grounds for divorce, which are available, but are less common. These include adultery, crime conviction, and desertion, to name just a few. 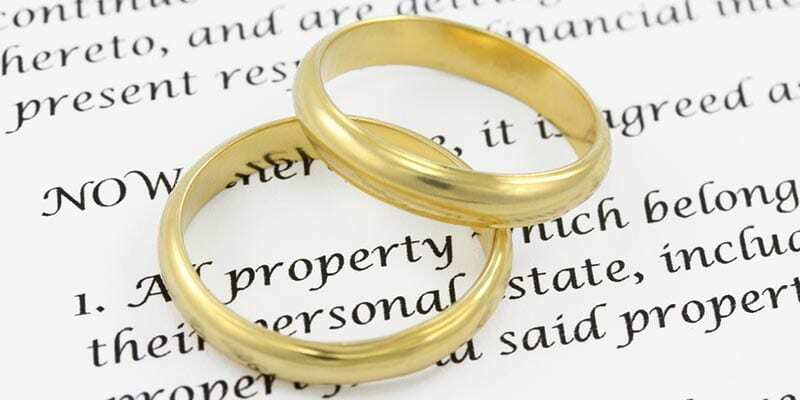 If you are considering a divorce it is best to consult with a qualified Homewood divorce lawyer to learn more about the choices available and how they will impact your situation. As couples work towards a settlement arrangement they may need some help resolving financial and emotional concerns. This can often be accomplished with guidance from your Homewood divorce lawyer. Whether a simple or complex divorce, your lawyer will assist you in sorting through the most important questions and work to obtain a favorable resolution. Couples who can resolve the major settlement terms in the divorce will likely have a less stressful experience. Couples with children have special concerns that must be resolved though the divorce process. Parents must decide where the children will reside and how visitation will take place. Today, many parents opt for joint custody, also called shared parenting. This means that both parents are responsible for making important decisions regarding the children. Children may reside primarily with one parent and have regular visitation with the other parent. The non-residential parent generally provides child support payments. Payments are determined using guidelines and are based on many factors including financial status. Most importantly, decisions regarding the children must be made in their best interest. Your Homewood divorce lawyer will assist you in making these important choices. Even the most agreeable partners may encounter disagreements in the divorce process. The most common areas of discord occur with decisions regarding finances and children. While this can be a very stressful time in your life it can be easier with leadership from your Homewood divorce lawyer. Many times your lawyer will be able to help diffuse minor problems before they get out of hand. Resolving differences will speed up your divorce process and make it easier for you and the entire family. Do not let the divorce process stress you out. Seeking guidance from a Homewood divorce lawyer will help reduce any anxiety you may be experiencing. Select a lawyer who focuses in family law and divorce. Your lawyer knows the current laws and understands the process to properly resolve your divorce. A consultation is the first step in the divorce process. This meeting allows you to consult with your lawyer, ask questions, and convey the most important concerns you may have. Your attorney will guide you through the divorce process from start to finish. Contact the trusted attorneys at Johnson & Johnson, Ltd. to schedule an appointment.